To speak your truth, first try listening to yourself. Published in the April 18, 2013, edition of Salt Lake City Weekly. 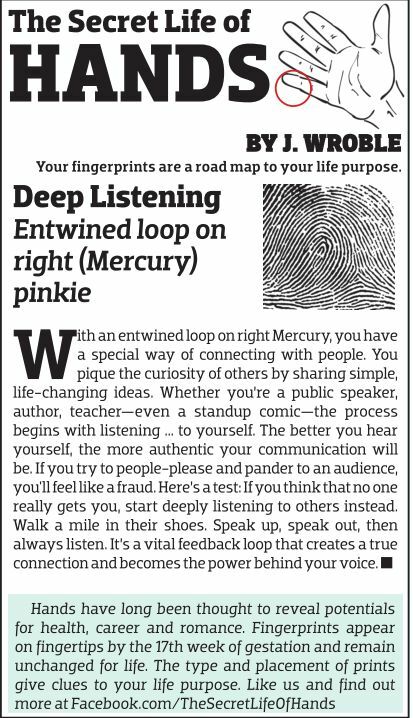 This entry was posted in Articles, Pinky and tagged Finger, Fingerprints, Hand Analysis, Hands, Life Purpose, Loop, mercury. Bookmark the permalink.